In case you haven't heard, Jaguar is not just a luxury car brand anymore — it's also a luxury SUV brand. First came the F-Pace, a sales success since it's been out, and now there's the E-Pace, the F-Pace's downsized little brother. We got up close and personal with the E-Pace at the 2018 Chicago Auto Show. There's a pretty aggressive, simple face on the E-Pace. Four large openings on the front, and blade-like headlights make it easy to mistake for the F-Pace from the front. You won't mistake it for its big bro along the side, however: The E-Pace is small, with a length that's about 16 inches shorter than the larger F-Pace. Unfortunately, the aggressive roofline of the E-Pace significantly limits rear visibility. Overall space in the front of the cabin doesn't seem much more confined than in the larger F-Pace. Adults should have room to stretch out. There's also a lot of convenient storage and solid, simple ergonomics like large dials for climate control and a toggle switch for driving modes. The gauges can be an optional 12-inch virtual display. A 10-inch multimedia system is standard, but unfortunately, there will be no Apple CarPlay or Android Auto connectivity. In the backseat, available space can be described as "enough," with a seating position high enough to keep occupants from feeling like they're squatting while offering enough legroom for two 6-foot-tall adults to sit one in front of the other. 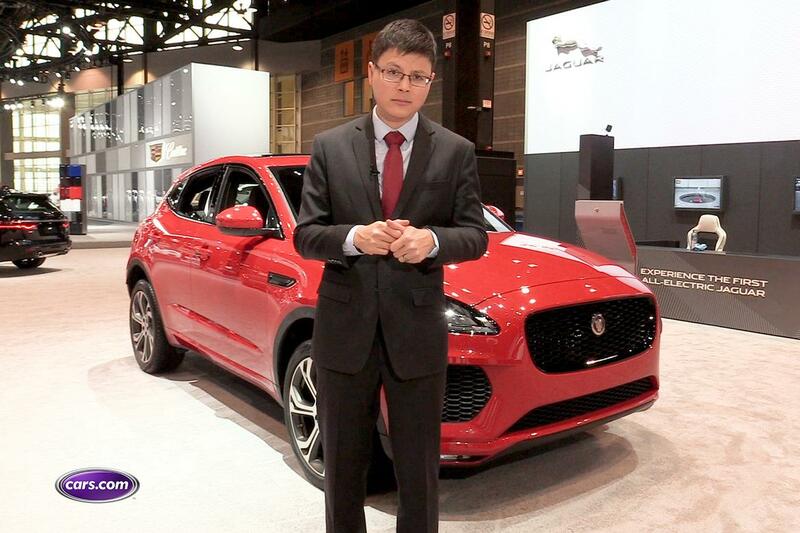 Cargo capacity suffers, however, with about 30 percent less than the F-Pace. The E-Pace is powered by a turbocharged four-cylinder Used Engines , making either 246 or 296 horsepower depending on the version. Those versions start at around $40,000, and we're told a fully loaded E-Pace will top out at around $60,000. The E-Pace is on sale now; be sure to check back soon for driving impressions.